Details about this class are shown below. Once you have decided to register for this class click the red sign up button. Ron Bennett has been a rider coach since 2001 in Pennsylvania until he and his wife Yolanda, moved to Virginia in 2012 where he continues coaching. Ron is a retired officer from University of Pittsburgh Police Department after 32 years. Duties included plainclothes, investigations, motor officer, SERT, and community relations. Ron received many awards during this time including Officer of the Year, and Medal of Bravery for First Responder of critical incident. Ron enjoys family events, rollerskating (4 wheels), fishing, jazz, and old school music. Also a member of "Buffalo Soldiers M/C of Pittsburgh" where he is known as "Zoom". Richard Yuras started riding over 40 years ago on a Honda CS65 Sport. His passion for riding has grown and so has the size of his motorcycles. He enjoys riding year round on his 2012 Heritage Softail. Richard enjoyed a 38 year career in the fire and rescue service. He was member of an international urban search and rescue task force that deployed to Haiti and Japan to assist with earthquake rescue operations. 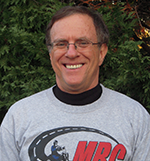 The opportunity to introduce others to the fun and excitement of riding and riding safely is all part of his motorcycling passion. Being a rider coach is a privilege and a responsibility that he takes very seriously. 1.5 HRS OF PRE-COURSE COACHING before your Basic Rider Course. This can be a stand-alone training opportunity. If you have no experience, Headstart is a valuable opportunity to familiarize yourself with motorcycle riding at a slower, less stressful pace than the larger class setting. We familiarize you with the motorcycle, friction zone, shifting and get you started on exercises! Our Headstart students claim this icebreaker did much to boost their confidence and get them off to a good solid start. Headstart may be taken independent of the Basic RiderCourse and more than once. Not sure if Motorcycling is for you? Try HEADSTART and find out! Many students sign up for Headstart just prior to their Basic RiderCourse. This gives them some advance preparation for the Basic RiderCourse a day or two, or even a week, before the full course.